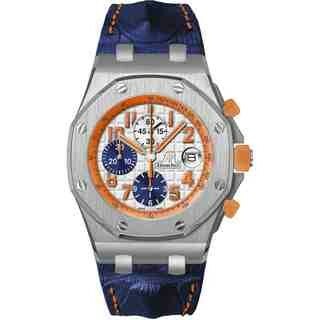 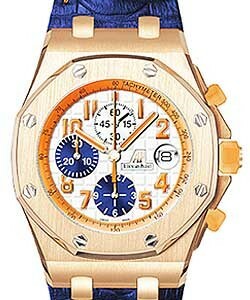 This watch is also known as: 26092OKZZD080CA01 , 26092OK-ZZ-D080CA-01 , 26092OK/ZZ/D080CA/01 . 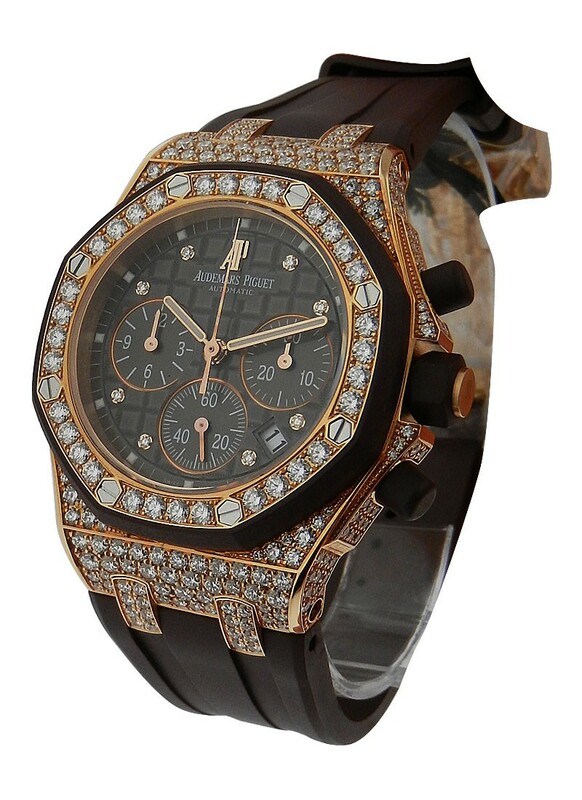 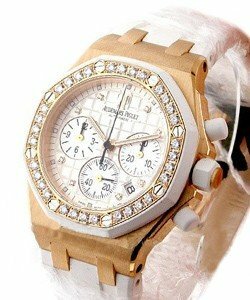 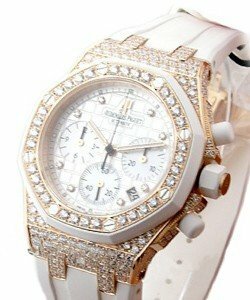 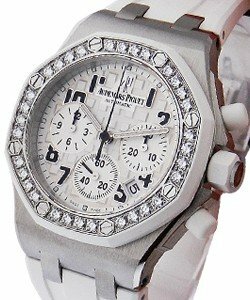 This Audemars Piguet Lady Royal Oak Offshore Selfwinding Chronograph watch features a 37mm pink gold case set with diamonds, brown dial, diamond bezel, and a chocolate brown rubber strap. 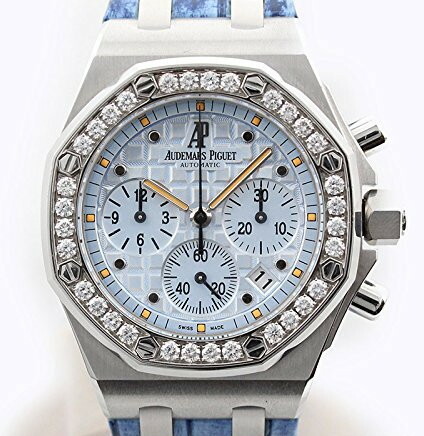 The Audemars Piguet Lady Royal Oak Offshore Selfwinding Chronograph also features an automatic chronograph movement with date and sub seconds.